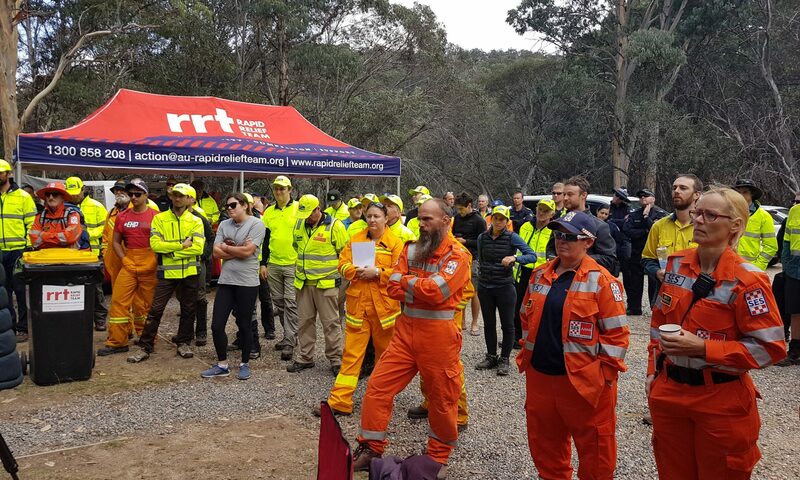 Sun 10 March: Twelve BSAR volunteers were called out to a search for two missing walkers on Mount Buffalo. Search tasks included walking tracks and prominent features. Mon 11 March: An additional 22 BSAR volunteers joined the search. The missing people were not located at the conclusion of the day. Tue 12 March: 19 BSAR volunteers responded to a 3rd call-out and joined the search. The missing people were located alive and well at around 11:30 am. All BSAR members returned to Melbourne. Our search tasks included easy walking tracks, large rock formations, alpine meadows, some peaks, scrubby gullies and rivers. BSAR has long encouraged members to participate in Rogaines and many members do so regularly. We now offer you a voucher to cover your entry fee for one Rogaine per year. Please note that you must receive the voucher before you enter the event. Bill Brand, former Officer in Charge of the Search and Rescue Squad, passed away on the morning of Monday the 17th of September 2018. Bill Brand was one of the founding members of the Search and Rescue Squad and served at all ranks up to Inspector until his retirement in the mid-1980’s. Bill Brand was a great friend and supporter of BSAR. 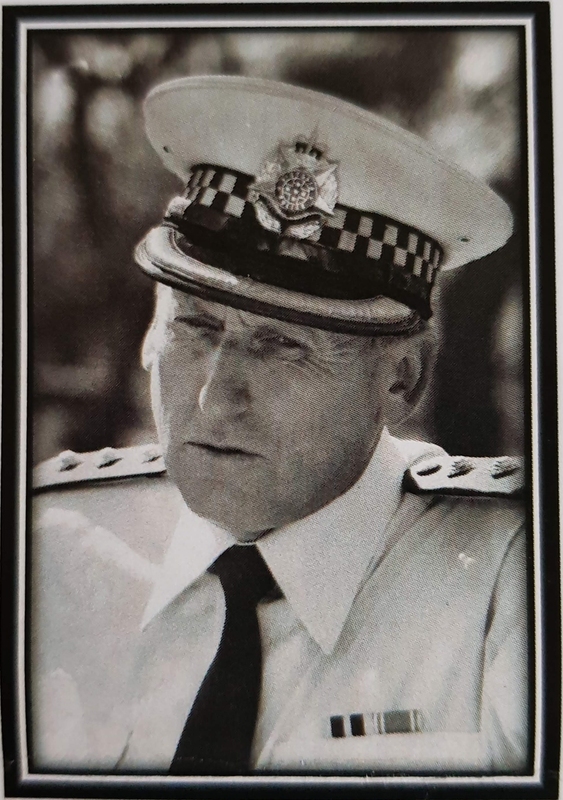 The funeral service was held at Heritage Funerals, 733 Boronia Rd Wantirna, at 10 am on Tuesday the 2nd October 2018. Thank you to the Brand family for the opportunity to pay tribute to Bill on behalf of the bushwalkers; “The Bushies”. 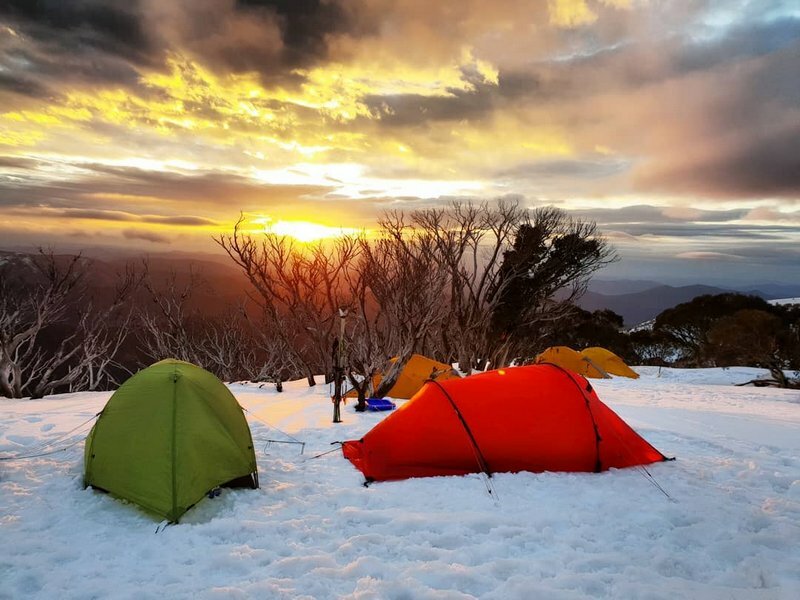 BSAR Steep Snow and Ice training was held on 27 – 29 July 2018 at the Razorback. 11:00 Sun 1 Jul 2018. 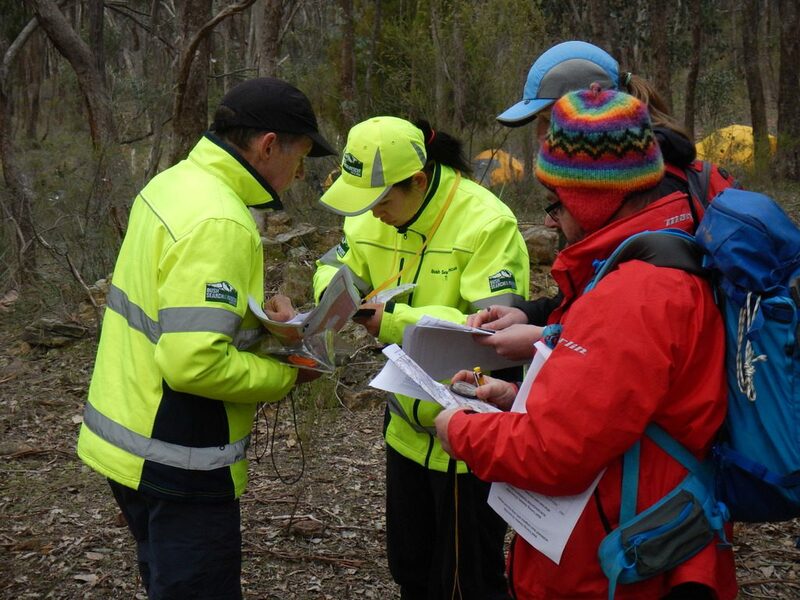 BSAR search call-out issued for missing person near Noojee. 13:15 Sun 1 Jul 2018. Call-out cancelled, missing person found. BSAR’s annual training weekend was held on 23-24 June 2018 at Chewton, with 28 members, 23 prospective members and 6 Police Search and Rescue attending in delightful June weather. 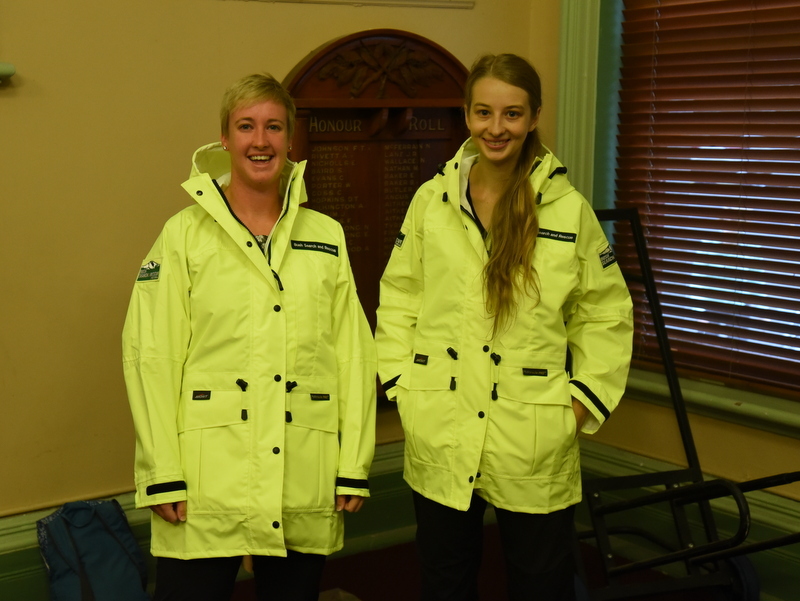 On Saturday our new and prospective members completed an induction session while experienced members participated in group leader scenarios covering hypothermia treatment, stretcher carry and helicopter evacuation. The afternoon moved to the focus of this training; navigation. Skills were developed and practiced with the GPS and in bush navigation using map and compass. The evening included a night navigation session to put those skills to the test.